UNITY FIRE TRAINING – 2019 UNITY Midyear Conference – UNITY, Inc. The UNITY Fire has been added as a POST-Midyear conference training featuring Alumni Firekeepers Sleepyeye LaFromboise and Sheldon Smith. Take the UNITY Fire to your community! 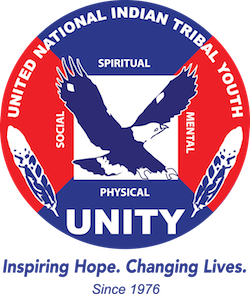 Learn more on how Native youth can build your own UNITY Fire by working closely with local elders, trained mental health professionals, behavioral health counselors and traditional healers. The training will be held on Monday, February 18, 2019. Registration is limited to the first 25 youth who sign up. Participants must be registered for the 2019 UNITY Midyear Conference to attend this session. “A fire burns within us and has so since the beginning of time. We must continue to strengthen it and keep it bright for generations to come.” Warren Skye, former UNITY Fire Keeper, Tonawanda Seneca Pine Tree Chief.